Assessment Updates will be posted on this web-site to: 1) Assess “pre-review” cigars that were not given a rating or score (typically pre-release cigars); 2) Provide numeric ratings to cigars previously assessed prior to the implementation of the numeric scoring system; 3) Provide a re-assessment and re-score of a previously assessed/score cigars. Today, we provide an assessment rating and score to the RoMa Craft Tobac CroMagnon Fomorian 2014. This is a 2014 production run of the CroMagnon Formorian – a blend we assessed in March 2013. Filler: Nicaraguan (3 Fillers): Esteli, Condega, and a ligero leaf from a small farm north of Esteli on the Honduran border. 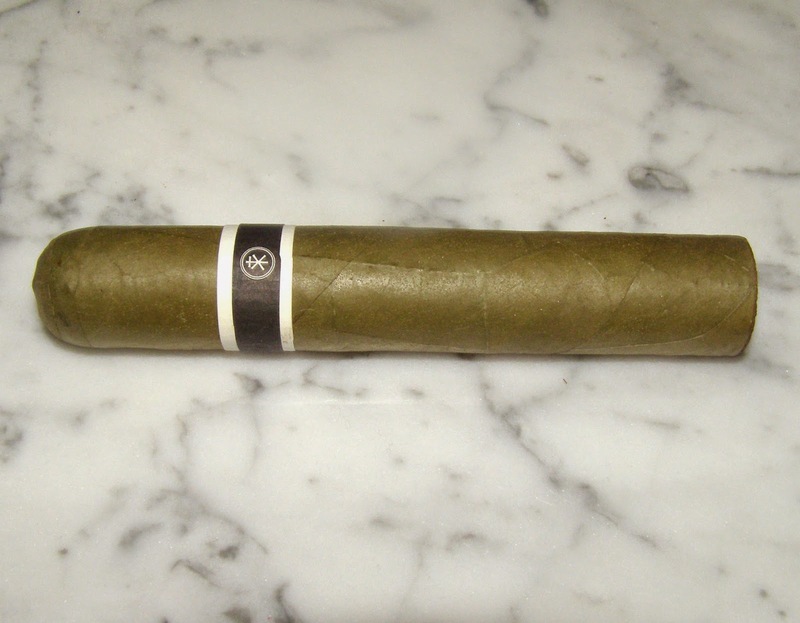 The CroMagnon Fomorian is an extension of the RoMa Craft Tobac CroMagnon line. It was first released as an event only cigar in 2013 to the DC Tweet Up. The cigar returned to the Tweet Up in 2014, but this time a small allocation was made to various RoMa Craft Tobac retailers. The genesis of the Fomorian is that there were some aesthetic issues with some of the Connecticut Broadleaf CroMagnon EMH (5 x 56) cigars. As a result, RoMa Craft Tobac brand owner Skip Martin set aside about 250 of the EMH vitolas from production. He then asked the factory to place a candela wrapper. This resulted in the 2013 batch for Fomorian. From our understanding the components to the Fomorian 2014 are identical to the 2013 edition. The difference is that the Fomorian 2014 now uses the CroMagnon banding. The Fomorian is going to have some classic candela flavors of cream, wood, citrus, and grass. This cigar is also going to deliver some unique signature flavors in terms of chestnut and some sharp black pepper. In the first third, the cigar has more of a creamy, citrus profile. The grass notes become more prominent in the second third, and the last third sees the unique chestnut flavors really shine. Throughout the smoke there is a nice amount of pepper spice. There was some robustness to this candela. The flavors start out medium-bodied and by the last third, they increased to medium to full. For a candela, this also has some pop – I assessed it being medium strength – something on the higher end for a candela. The construction was excellent on this cigar. In particular, I found a significant burn improvement over my experience from 2013 version. The more I smoke the Fomorian, the more I am convinced, this is one of the all-time great candela cigars ever made.